Shop our growing selection of tabletop displays for 6' and 8' standard size venue tables. 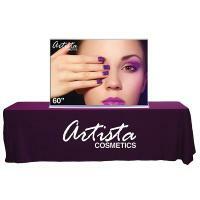 Tabletop displays are excellent for trade shows, retail, colleges, universities, health-care facilities and more. 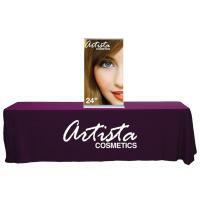 Curved and Straight Table top stands available with vinyl, dye-sub or Velcro-ready fabric. 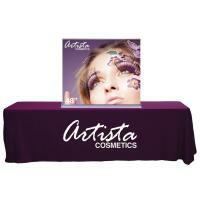 We have many retractable tabletop banners and self-packing options to choose from.